Would anybody know the power consumption in Watts for a single scope Pro and a Pulsar2 board? 15W / 12W according to the manual. Hey thanks Kylie. I've just moved house and haven't got a clue where my scope manuals are I'm specing a new psu and was thinking of going for a fanless. Can't find anything over 400W though. 400w is plenty if it's a true 400w(a very high quality power supply). poor quality poower supplies of 400w will be insufficient or burn up. I just want to try this type of PCI expansion boxes ExSYS 1015 (http://www.exsys.de/index.php?page=product&info=6 for a kind of mobile solution, I know Magma is better and some here had bad experiences with even larger boxes. They from exsys.de say "Attention!! The maximum power consumption per PCI slot is limited to 200mA." So if may say Scope needs 15W and if we take 5 Volt for U (PCI standard) and 0,2 A (200mA) for I , then this ExSYS Box provide only 1 Watt per PCI Slot?.. 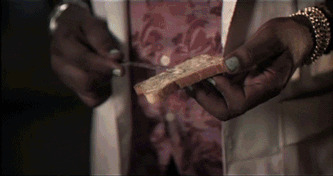 P = U · I. So we need for example for Scope 15 Watt / 5 Volt = 3 Ampere (3000mA) for each PCi Slot. Quite a lot / didn't now that the mainboards provide such power on Standard PCi Slots... Or I calculated it wrong?.. But may the boxes just underrated because of a small power supply? If I exchange the power supply with one with ~100 Watt the power should be enough?.. How power consumption per PCI slot can be limited on the board? Those boxes have been considered before and are not recommended for our Scope cards. yes, the power supplies of those external boxes are not sufficient, but the boxes also mean significantly less PCI bandwidth. it's SO easy to just put them into a machine with proper slots. why waste time and energy for a secondary solution? Don't waste your life time, buy a good Mainboard and save your money nerves etc. Just do it and make your experiences. If you had a xite, that would be great. But who has? May anyone knows if Creamware PCI cards would work in PCI-x 64 Bit 5V Magma expansions? As I know PCI-X 64bit 5Volt Slots loads also 32bit 5Volt PCI Cards... Creamware Cards are 5V 32Bit PCI... Not sure if I put a Creamware card in an 64bit 5V PCI-X slot my card is running at right 33MHz ... Any Ideas? EDIT: Theoretically according to PCI standard the slowest card set the bus speed. Also 33Mhz card take over 66Mhz bus. 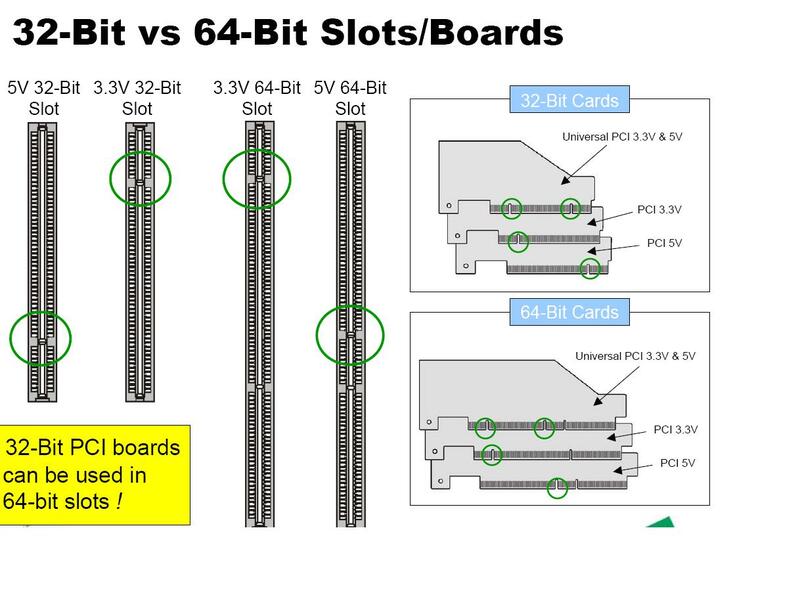 Additionally "64bit 5V" Slots seem to be 33 MHz only! It may work. I'll report it. (how to make this picture a bit smaller?.. an HP xw4400 is less than $100 including shipping on ebay. that and a RME ADAT card are WAAAAYYY cheaper and easier...the XW4400 will handle three cards with no problem and then you have a very nice mixing/fx/synth machine to add to your system. the easiest thing is to just build a computer with PCI slots. My Scope system is an HP XW4600 Quad-Core @ 2.8Ghz. Luna, Pulsar and Pro. Runs Sonar Platinum if I want with some VSTs. No problems. No worries. Built like a tank. Less than $200 with Win 7 Pro 64, 500GB 7200 rpm and 8GB with 6 month warranty on Ebay. 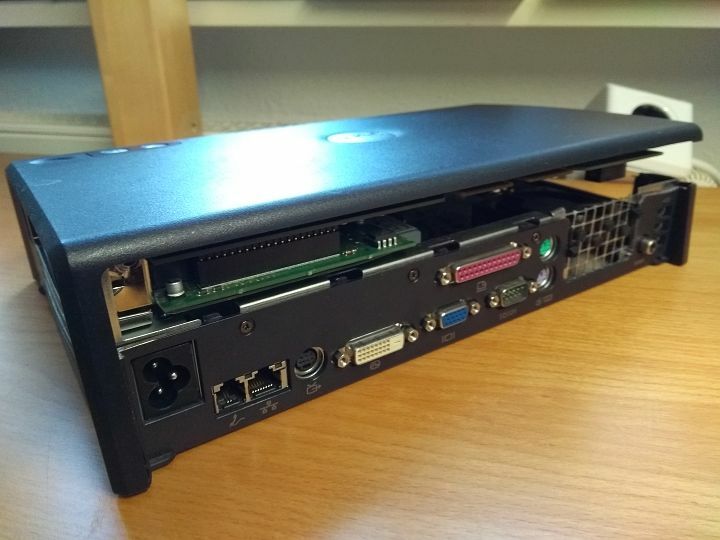 I also tested a Dell D620 Laptop with a docking station. The docking station has to be modified mechanically. The thing is, that this combination have a very low PCI performance, So I got PCI-Overloads very quick. this attitude of "get an older board and youre good" sadly reminds me of the last days of the atari community, late 80s, when the pc had not evolved beyond a typewriter. everybody agreed we dont need faster machines, 16 mhz is plenty enough, i can do anything i want or need with my atari. seems i was the only one constantly buying every new model, every addon, at ridiculous prices. and the afterburner never really worked with cubase, 1500 deutschmarks wasted which was a small fortune, for me anyways. i even considered buying into their stock, but before i could it went up and up and then they went bankrupt. sure the machines were kept alive for a few years, they were at least as stable as the creamware scope cards. now there is obviously some demand for using the pci cards with newer boards w/o pci slots, with pcie riser adapters. my superficial knowledge suggests its a driver issue. it wouldnt have to work with every last one of these adapters, just a few. i`m sure such a driver could be offered at a reasonable price. the current driver must have been updated for v7 anyway, why not take that next step. its not going to take away from xcite sales, differen price range alltogether. the PCI cards are no longer made or sold. this is not a matter of worrying about losing XITE sales. if that was the reason that your driver does not exist, then there wouldn't be any Scope 5 or 7 for PCI cards. it's not a driver issue. the issue is that the cards are realtime processors and the computer is not. then you add another layer for the adapter and there are timing issues that lower the overall "PCI" performance(the inability to get all the data transferred in a timely manner). it's not that adapters don't work, it's that they do not, and can never, work as well as a "native" slot. if all you want from the card is i/o, then an adapter will work great. drivers don't work the way you would like, so this solution you suggest will not work. don't put obsolete tech into the latest computers unless those computers have the needed resources for that tech. there are still plenty of CURRENT model motherboards with 2 PCI slots, but not many with 3. since the PCI standard is officially over and done, don't expect this situation to improve. please? can i shift the i/o load to a specific external card while processing the rest internally, i would have to tap into the i/o at some point though? my typical usage scenario is wave (winamp/vlc) to mixer, guitar/pod hd to mixer (live low latency monitoring with a few eqs and compressors), 1 or 2 asio to and from daw (recording and occasionally some vst effects), then everything out to home stereo. probably not very demanding compared to your regular power user? no, it doesn't work that way. you will have reduced PCI performance in any case. whether or not that makes a problem for you depends on a lot of things including the adapter. you'd just need to try it or put together a computer that the card is certain to be happy in. i would think that you would be ok, in general, though. you aren't making many connections between card and computer, so i would expect it to work. thats great news and about the most positive i`ve heard, usually its just "it doesnt work". thank you for explaining, really. 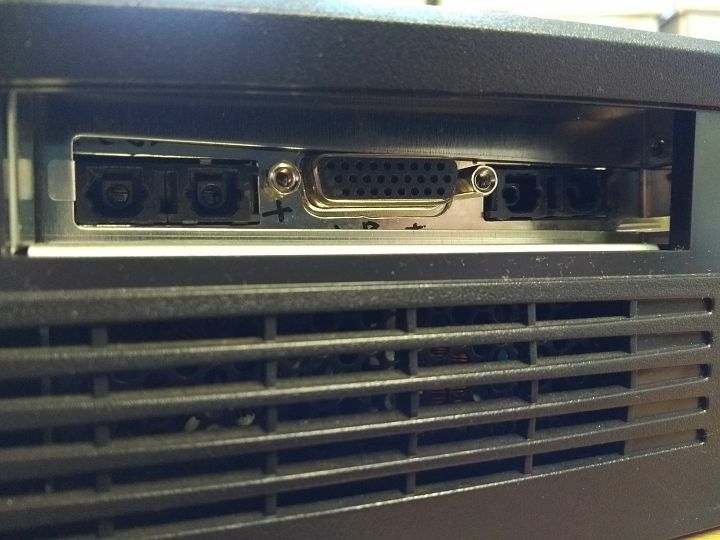 maybe there is a new approach for a driver: allow to distribute the pci load from one slot to another, e.g. with a slider in the properties gui or in the sfp itself. for all i know the pci on a riser card could be better suited to handle the scope cards than my onboard one, since my questions about amd am+ chipsets have been igored on this forum and asus doesnt wanna say whether their pcis are native either, but at least i now understand better why things havent been as smooth as i wish they were.